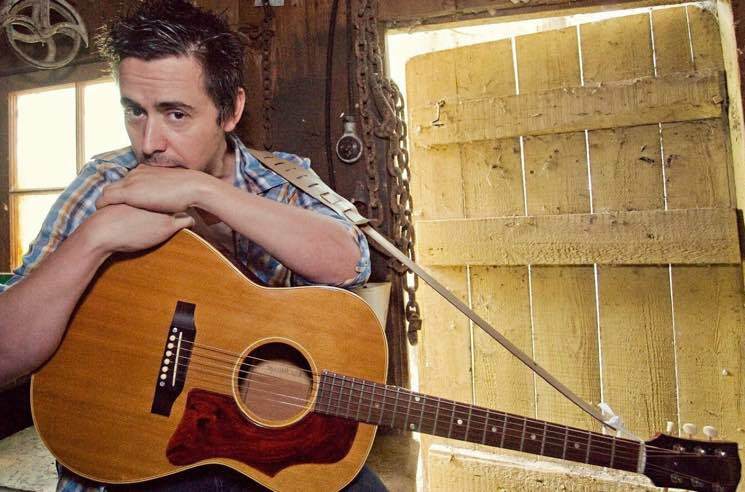 Danny Michel pushed himself to Arctic extremes to record his latest LP Khlebnikov on the titular Russian icebreaker ship, but it's a recent stint in Barrie, ON, that's caused the singer-songwriter strife. He took to Twitter today (July 18) to announce that a cherished guitar has gone missing. The instrument in question was lost around 10 a.m. on July 17 in Barrie. It was last seen at the Tesla charging station at Park Place, located at 100 Mapleview Dr. E. The guitar is a 1963 Gibson B-25; its serial number is 350614. UPDATE (7/19, 10:30 a.m. EDT): Michel has been reunited with his precious guitar. It was found by the owner of Bruno's Bakery and Cafe in Innisfil, ON, and is expected to be returned to the musician tomorrow (July 20). Read Michel's update below. Michel notes that the guitar is valued at $2,500 to $3,000 but insists that its sentimental value is "priceless." Nonetheless, he's offering a cash reward to anyone who can help retrieve the six-string. Find his full plea below, as well as contact information in case you've got any leads on the lost guitar.